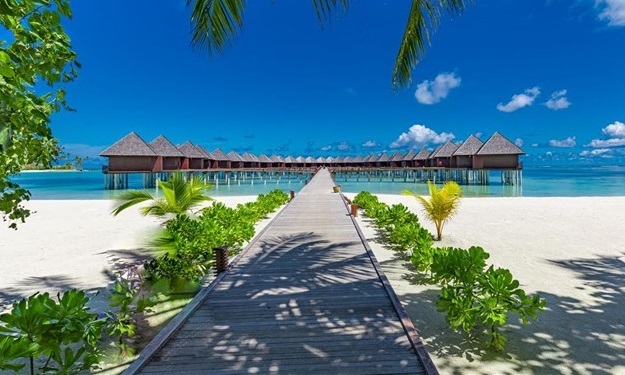 Set in Rasdhoo Atoll, on one of 5 islands located in this tiny archipelago, Kuramathi offers a naturally Maldivian holiday experience, with unique twists to suit everyone. 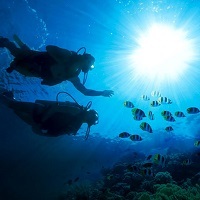 Whether you are one half of a couple on a romantic getaway or part of a big family seeking to enjoy quality time together, whether you prefer undersea activities to overwater, whether you would rather indulge in sensual spa therapies than play a game of outdoor tennis, there is literally something for everyone. 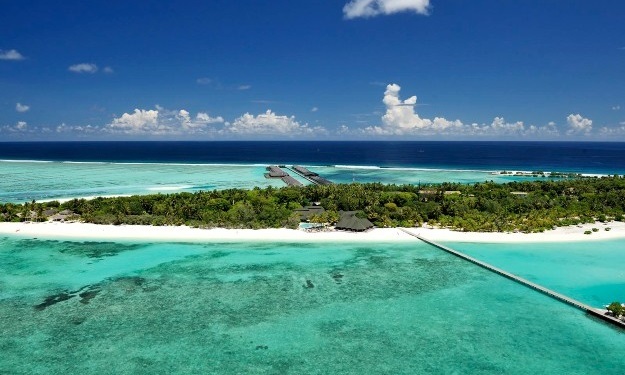 Come to Kuramathi and discover the Maldives at its best. 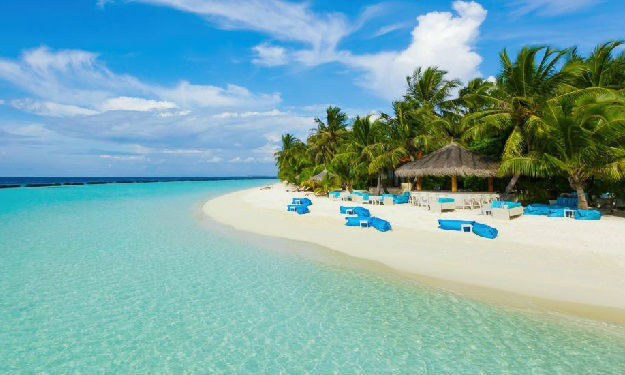 Relax, get comfortable and enjoy the beautiful island: sun, sand, surf, mouth-watering food, diverse facilities and, of course, welcoming and friendly service. 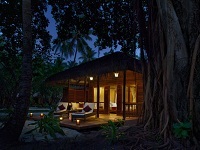 The Spa at Kuramathi is set in the heart of the island amongst luxuriant vegetation and boasts the ocean as its backdrop. 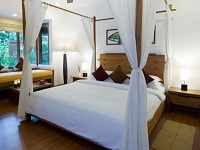 The Resort facilities include 13 treatment rooms, consisting of 1 couples’ water pavilion massage room, 2 couples’ beach pavilion massage and tatami rooms, 1 aesthetic beauty care couples’ room, 1 manicure and couples’ pedicure room, 7 beach side couples’ treatment rooms and 1 private herbal bath treatment room. Prepare for your Ritual, soothe your body and quiet the mind in the separate male and female wet areas. 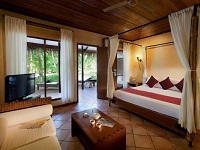 The resort offer you Rain Showers, Herbal Essence Steam Bath, Finnish Sauna, Cool Dip Pool and Jacuzzi. Then, take a moment before your appointment to relax in Spa Lounge and enjoy the warm breeze and sound of the ocean as you savour special blended pre-treatment herbal tea prepared for you by team. 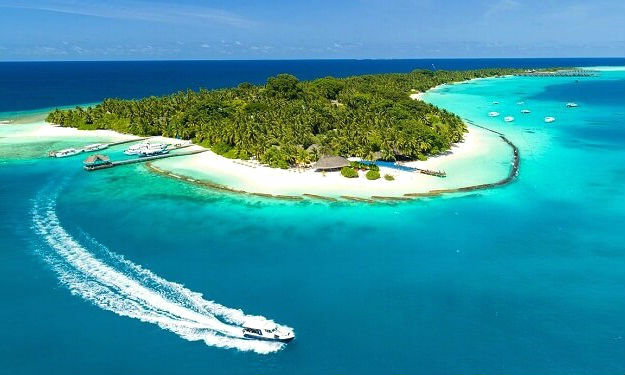 The combination of abundant marine life, colourful reefs, warm waters and big fish encounters sets the Maldives apart from other popular diving destinations. 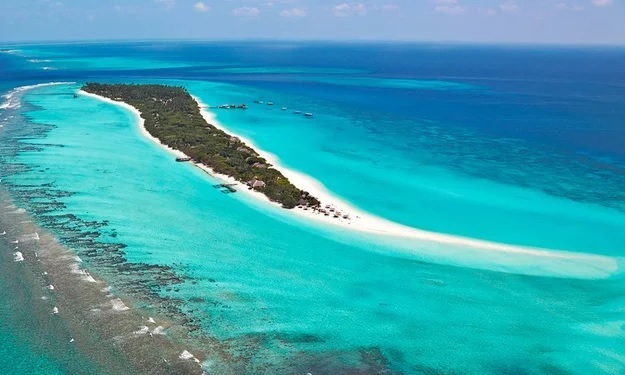 On Kuramathi, you find two fully equipped PADI dive centres offering a wide range of underwater adventures including the chance to dive with hammerhead sharks - one of few places in the world where you can still see these magnificent creatures! Experience fun and adventure! 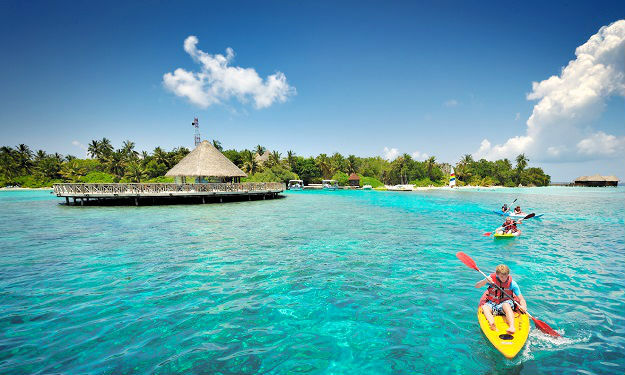 Take part in a wide range of non-motorised water sports including windsurfing, catamaran sailing or kayaking. 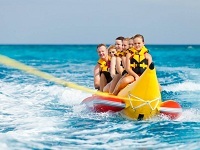 If you need something more thrilling, you can try water skiing, wake boarding or even an exhilarating banana ride! 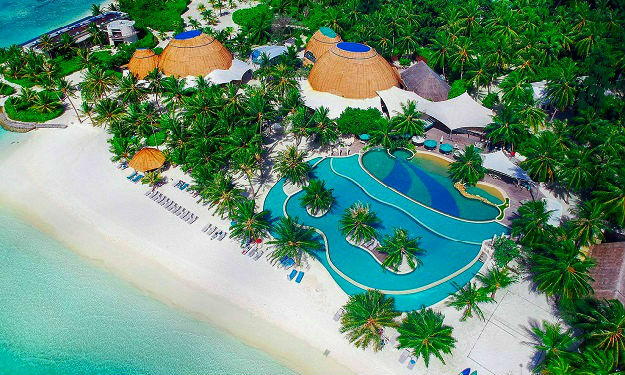 The Water Sports centre also offers a variety of excursions on a catamaran or a motorboat. 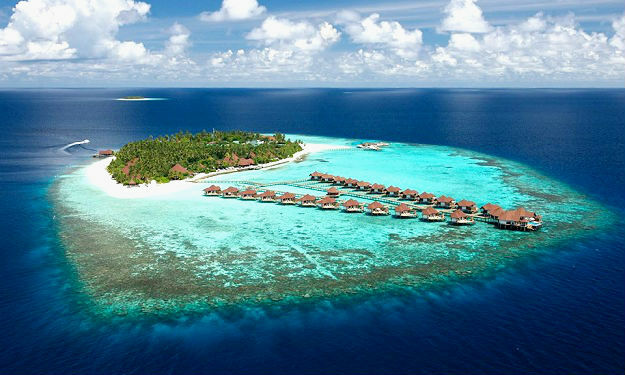 Join the excursions for some excitement or to discover the Maldives and the traditional way of life of its inhabitants. 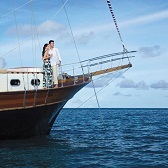 A full range of excursions is available ranging from island hopping, visits to local islands, snorkelling trips, sunset cruise and big game fishing. 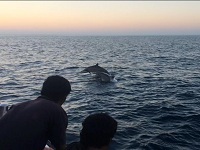 Kuramathi fully supports ‘tag and release’ policies in Big Game Fishing. 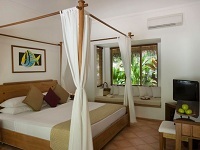 this resort is also one of very few resorts which do not offer Night Fishing as an excursion. 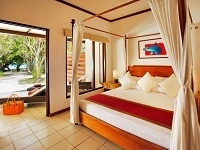 The hotel pride in their decision and their part to protect the islands pristine surroundings. 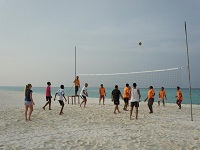 The Sports Centre provides an excellent opportunity for you to keep fit whilst on holiday. It features a fully equipped gymnasium with all modern fitness equipment. 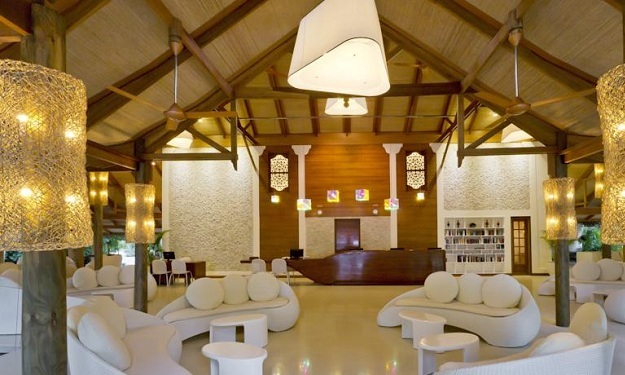 The sports centre also includes a floodlit tennis court, fresh water swimming pool, children’s pool, jacuzzi, and Pool Bar. A second fresh water infinity-edged pool is located near Fung bar. 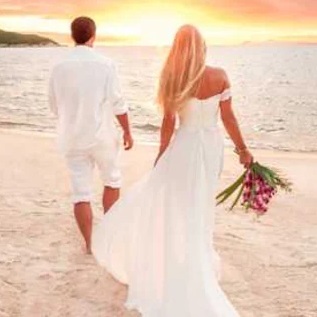 The Maldives renewal of vows ceremony can range from a simple service at the beach to an elegant one at the island’s sandbank or a more traditional and elaborate setting at the “chapel of love” set over the lagoon. 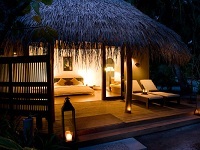 Kuramathi, a most romantic getaway in Maldives, offers different packages to suit you. 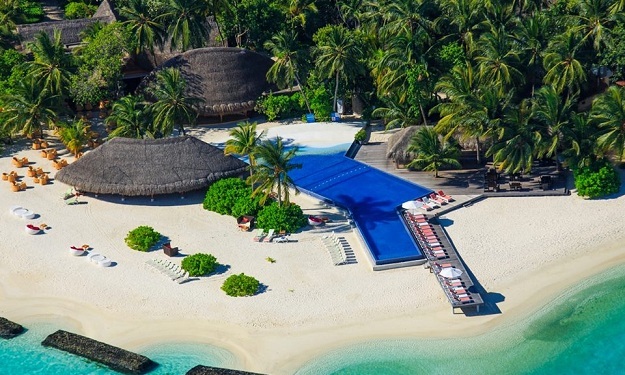 The choice is yours and once it is made, the rest is left to the islanders of Kuramathi whilst you relax and pamper yourselves in anticipation for the big day. This elegantly appointed bar offers an eclectic selection of wines from around the globe, as well as the finest of international cigars in a cool setting. It is an ideal location for an aperitif or a late evening get together. A selection of delicious nibbles is available to complement your wine selection. For those who wish to feel like a star for a night, Karaoke is available. Havana Club opens from 18:00hrs until late. For an ice cold drink to sip as you unwind by the pool or after a hard workout at the gym, the pool bar offers a range of thirst-quenching drinks including delicious freshly blended fruit shakes. Pool Bar is open from 09:00 to 20:00hrs. An intimate bar, situated at the far end of the island where you can relax on the outdoor decks whist enjoying a refreshing drink. Laguna Bar is open from 09:00hrs till the departure of the last guest. 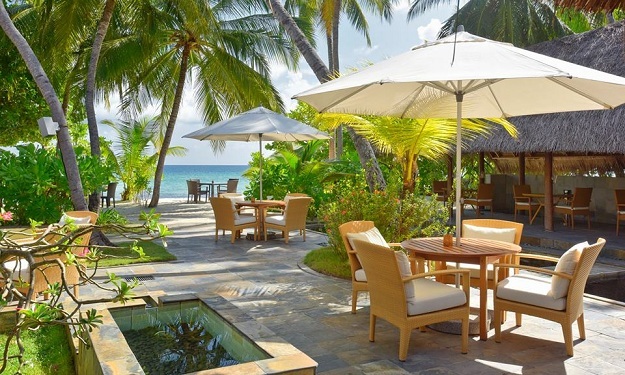 Dhoni Bar is a perfect place to relax whilst enjoying panoramic views across the dazzling waters of the lagoon. 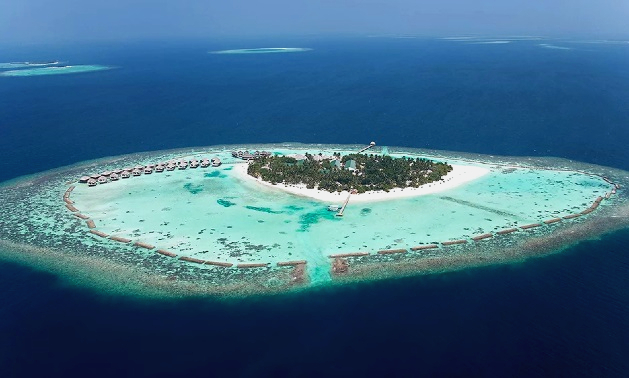 Dhoni Bar is open from 09:00hrs until the last guest leaves. 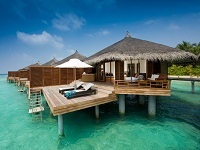 An ideal location to chill out and enjoy fabulous cocktails any time of the day. Fung Bar also offers open-air disco for the enthusiastic dancers. 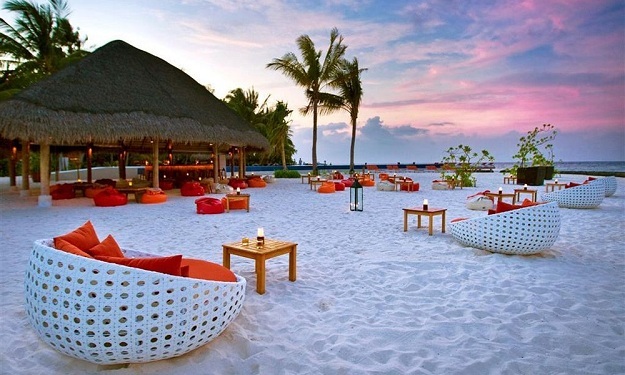 Located directly on the beach, Fung Bar is open from 09:00hrs until the last guest leaves the bar in the evening. Select high quality meats are cooked to your desires, complemented with traditional barbeque side dishes and matured fine wines. Set right on the beach, with views out to the sea and the infinity pool, this chic restaurant also offers a selection of island grown organic food. 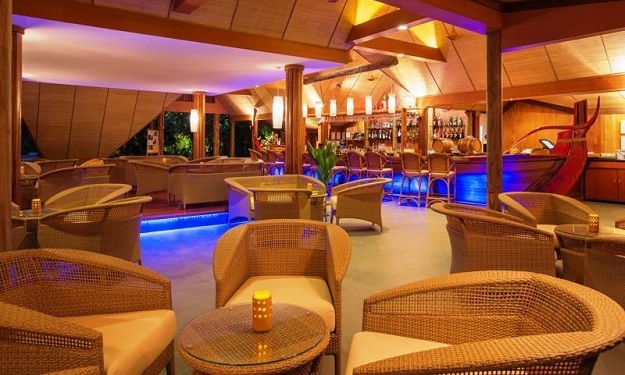 Set in the heart of the island, Duniye flaunts fare from all over the globe served with our collection of well-acclaimed wines. Feast on a carefully handpicked array of starters, and ponder over the choice of decadent dishes available for main course. 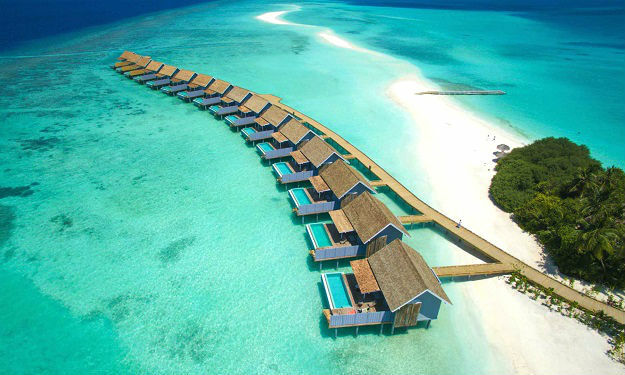 Travel your taste buds to the sensational world cuisines as you embark on this gastronomic adventure. Palm offers an eclectic collection of sensational culinary delights from the Mediterranean shores to island grown salads, antipasti, pasta, traditional Italian pizza with crispy thin crusts and homemade ice cream featuring both tropical and classical flavours. Come evening Palm transforms itself… offering an intoxicating blend of food, wine, culture and ‘joie de vivre’. An intimate restaurant, situated on the beach along the narrow stretch of the island, The Reef is signature seafood restaurant. 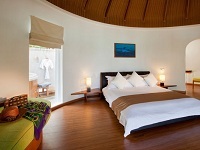 It offers guests fresh catch from the Maldivian waters and quality seafood imported from abroad. Your choice of dinner is prepared right in front of you, just the way you like it.